and contact us to book your session. Before we even start with any bike skills it is imperative to ensure that the bike’s suspension is setup correctly, as it is no use trying to learn new skills when the bike is not handling correctly. Once on the trail we will evaluate actual bike setup and offer suggestions, however we do not consider this to be an official bike setup and this should be carried out by a bike fitting centre. In your first session you will learn the correct body position on the bike. This will allow you to have a “Balanced Foundation” on the bike from where all the other movements will be made. Once this has been mastered our main concern is to be safer and have more control and confidence on the bike. The First Session starts with the most important basic elements of riding and then we build off of these. For instance, without proper body position and weight placement on the bike ”Balanced foundation”, the rider will have a very difficult time providing effective movements and control on the bike. Therefore correct position is covered first. We work on a proper and correct foundation and build off of that. Once this has been mastered our main concern is to be safer and have more control and confidence on the bike. 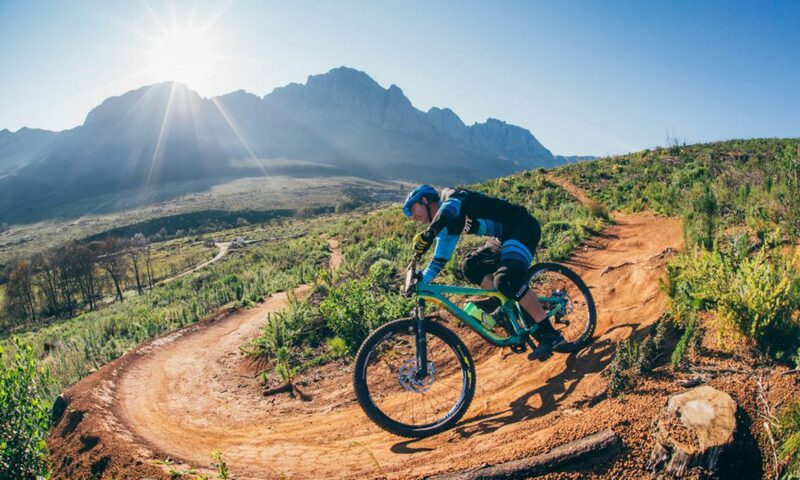 Cornering is the most important element for carrying speed, while braking is the most essential element for confidence on any trail. We start with braking techniques and learning your brakes. Cornering is covered in an introduction phase in the first lesson and then becomes one of the main elements that we focus on going forward. Developing the correct cornering technique is a process and not something that can be taught in one lesson. Once Body Position and Braking has been mastered you will feel far safer and comfortable on the bike. This will allow you to take on trails with far more confidence. We cover jumps and rock gardens in the intermediate to advanced classes, however, rock gardens and obstacles are covered quite early as it becomes important to learn how to deal with these obstacles with the new found speed and better confidence.